Delegates at last year's Peterborough Biscuit. 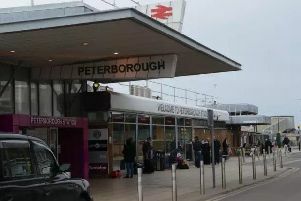 Organisers of the Peterborough Biscuit business expo say this year’s event will be the largest of its type outside London. The event takes place at the East of England Arena and Events Centre, in Peterborough, on February 7. A spokesperson said: “With 213 stands sold we are already the biggest business event outside of London, which I believe is something we should all be shouting about. The Biscuit expo will include more than 300 local businesses with BBC Apprentice winner Joseph Valente lined up to open the event, which starts at 9am and finishes at 5pm. It will feature a number of informative seminars from local business experts plus entertainment throughout the day. Health and safety management firm Sphere RHSM, of Peterborough, is organising the event. Sphere RHSM’s managing director Stephen Smith, said: “The Peterborough Biscuit has proven to be incredibly popular and the last event saw over 120 local businesses attend. “We set out last year to make the Peterborough Biscuit an annual date on the local business calendar and in light of the hugely successful event it is now a reality.